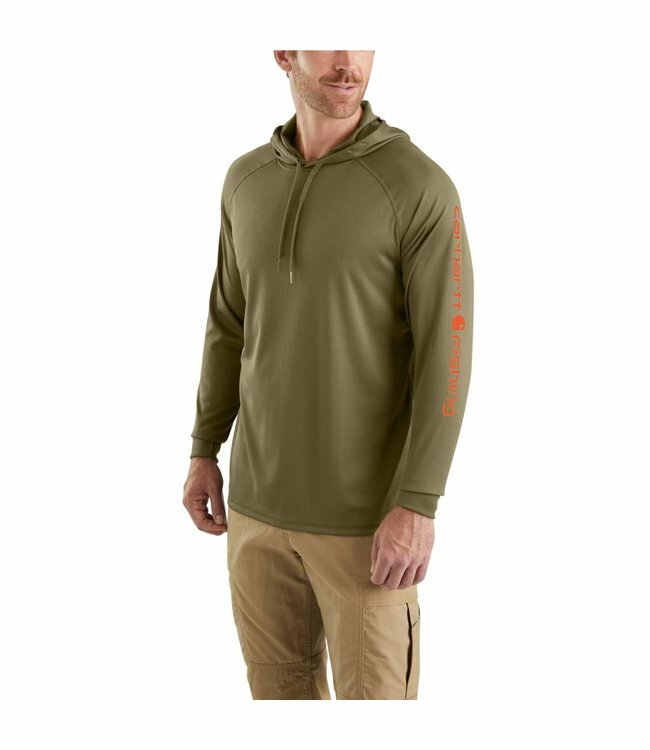 Just right for early mornings on the river, this men's hooded t-shirt gives you a lightweight layer to pull on before the sun comes out. It's made with soft knit that fights off odor, sweat, and stains while feeling smooth against your skin. Thumbhole sleeves give you extra coverage on cool days.